Did you know that there is more to Las Vegas than the strip? The Las Vegas valley is home to more than 2 million residents and is made up of four different municipalities, Henderson, North Las Vegas, Las Vegas, and Boulder City. Each city has it’s own personality, charm and amenities that draws in different types of home owner’s. The city of Las Vegas lends all its big city entertainment and excitement to the surrounding communities that serve other lifestyles. So whether you are a family looking for a neighborhood to raise your kids in, a military relocation family who wants to live near Nellis Air Force Base, an outdoor enthusiast, a baby boomer who wants to retire in an active 55+ community, an avid golfer, a luxury home buyer or would like to live in among the glitz and glam of the famous Las Vegas strip in a high rise condo, there is a home available for every lifestyle in the Las Vegas Valley. Henderson Nevada is a great place to live because you get small town charm with all the big city amenities. Henderson is located in the Southeast area of the Las Vegas valley and spreads out east to Lake Mead National Park and the surrounding foothills. 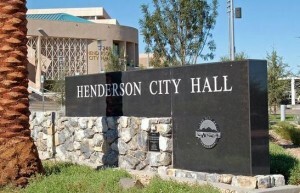 With a population of almost 300,000, Henderson is the second largest city in Nevada just behind Las Vegas. For many years, Henderson has been in the top 10 of the nation for growth, safety and best cities to live in. Why? You may ask. 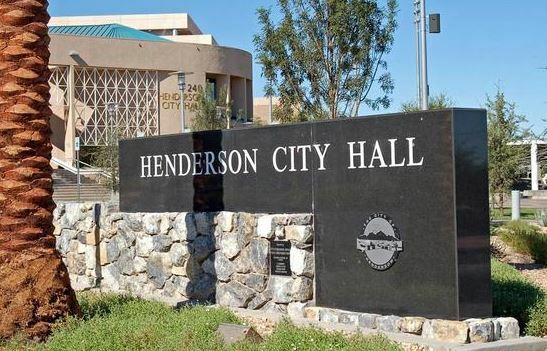 The City of Henderson has been very active in planning their communities to be the best for the residents from family friendly parks, trails, recreation facilities, shopping, private executive airport, 55+ neighborhoods and other amenities to make Henderson communities the best for their residents. Henderson residents also take advantage of the ease of location to McCarren airport, Lake Mead recreation, the Las Vegas Strip, and freeway access to California and Arizona. Henderson also has many local casinos that offer high-end restaurants, clubs, shopping and gaming. Henderson has some of the most popular neighborhoods and master-planned communities in the Las Vegas Valley. Henderson neighborhoods and master-planned communities include Green Valley Ranch, Grand Legacy, Seven Hills, Anthem, Sun City Anthem, Solera, Madeira Canyon, Anthem Highlands, Lake Las Vegas, Tuscany, Cadence, Green Valley, MacDonald Ranch, Sun City MacDonald Ranch, MacDonald Highlands, Roma Hills, and Inspirada. Henderson neighborhoods are well-known for having amenities for all ages, such as lots of shopping, restaurants, jogging trails, bike paths, libraries, community centers, public transportation, hospitals, parks, and schools. These communities also have homes for all phases in your life from first-time starter homes to multi-million dollar mansions, retirement communities and everything in between. Search Henderson homes for sale. I am sure it would shock most people to know that Las Vegas is the largest city in Nevada and home to around 600,000 residents. 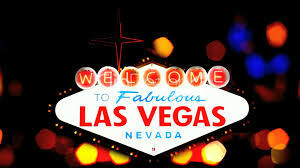 Las Vegas is most known for the glamorous casinos, well-known entertainers, and world class restaurants. However, there are other amenities that the residents love such as the Springs Preserve, Smith Center, University of Las Vegas and Red Rock National Park. Most people who visit Las Vegas ask do people really live in Las Vegas? Yes, even though Las Vegas emanates a city of glitz and glam it also has a family friendly side with many master-planned communities such as Summerlin, The Lakes, Rhodes Ranch, Coronado Ranch, Southern Highlands, Mountains Edge, Eldorado, and Desert Shores. Las Vegas also boasts a lifestyle of living that no other city can offer in a high rise condo on the glamorous Las Vegas strip. North Las Vegas is located in the Northeast corner of the Las Vegas Valley encompassing Nellis Air Force Base and into the outlying foothills of the Sheep Mountains. With a population of just over 200,000 North Las Vegas is the third largest city in Nevada. In recent years, the North Las Vegas municipality has experienced growing pains and has responded with more parks and recreation facilities for its residents. Aliante is the biggest master-planned community in North Las Vegas and is well known for its entry level homes and move up buyer homes. With Nellis Air Force Base located within North Las Vegas, it is a popular community for military families. Boulder City is a hidden gem within the Las Vegas Valley and is unique because it is one of only 2 cities in Nevada that prohibits gaming. City officials are very involved in keeping the small town charm with restrictions on building and use. Boulder City was born out of necessity when the famous Hoover Dam was under construction and still maintains the quaint downtown with antique shops, small restaurants, and small hotels. It sits high above Lake Mead with views of Lake Mead, the Colorado River and neighboring Arizona mountains. With many building restrictions, there is no master planned communities in Boulder City. 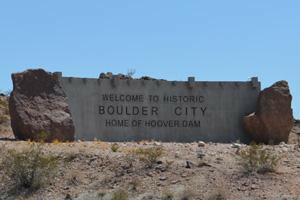 Living in Boulder City is like years gone by and most homes are the original residents for the Hoover Dam workers. There are pockets of new homes that overlook the water or surrounding mountains. No matter what city you choose or fits your needs you will be able to take advantage of all the big city amenities that Las Vegas has to offer. From entertainment, shopping, award winning restaurants and recreation. One of the other perks that living in the Las Vegas Valley offers is the outdoor lifestyle with over 300 days of sunshine. 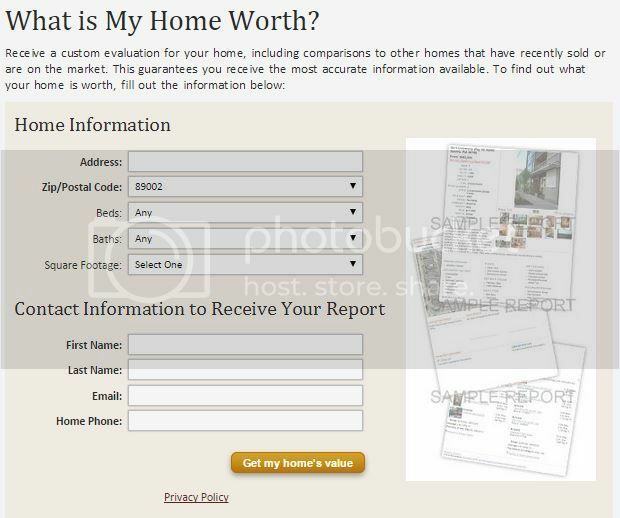 Please explore more about the neighborhoods amenities and homes they offer on our site. If you would like more information or want to explore Henderson, Las Vegas, North Las Vegas and Boulder City contact the Gonzales Team at 702-291-8126 or fill out the contact form.